Root Folder > Sage - ACT! 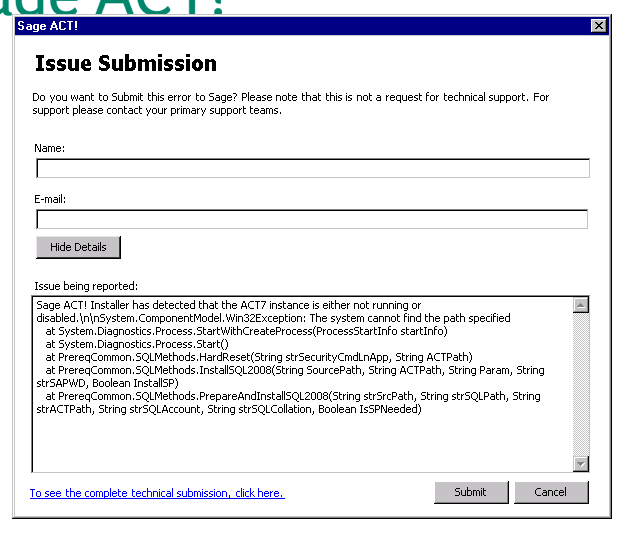 When running the Act 2011/ACT 2012 Setup the following error ( Managed SQL Server Installer has stopped working) is displayed followed by the SAGE Act issue submission page. Note: The following information is provided as a convenience. Sage does not provide support for Microsoft® Products. .
Double-click Add or Remove Programs (or Programs and Features if Windows® Vista®/7/Windows Server® 2008). In the list, locate Microsoft .NET 4 Client Profile and select to uninstall. 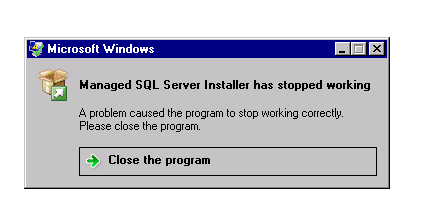 Once the uninstall has completed, reboot the computer.